Please plan to come and share the information with anyone you think might be interested or in need. and swap for items they can use. They accept everything in good usable condition. Nothing to swap? Please come anyway and be blessed with God’s provision. Would you like to volunteer to have a chance to pre-shop? things they no longer need for things they do. be blessed with God’s provision. Southside Enrichment for Language Arts and History has a few more openings to fill for Fall classes. 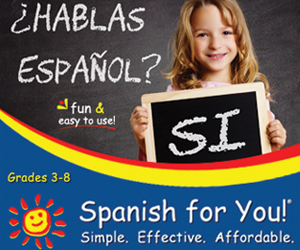 SELAH offers a safe and wholesome environment where the growth of leadership skills such as commitment, confidence, discipline, and integrity are encouraged through the teaching and training of language arts while creating a healthy outlet for artistic expression. 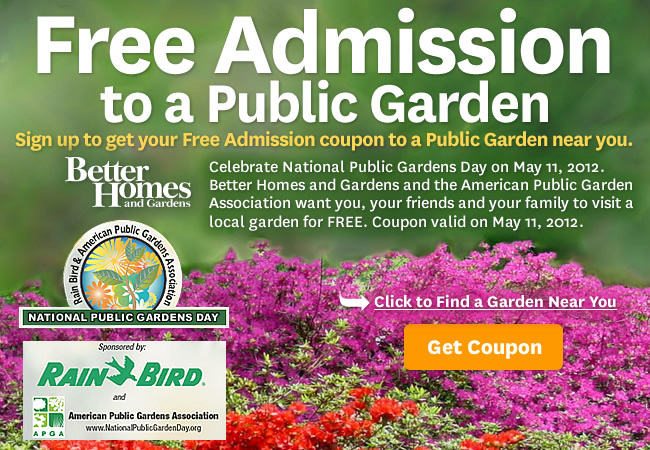 Click on the Get Coupon button on their site and you can get a coupon for free admission to a number of public gardens. You do need to give your name, email, zip code, pick your garden, and indicate the number in your party. The coupon is good for 2 admissions, but the site says to print as many as you need for your group. The weather here in Chicago is supposed to be gorgeous on Friday so grab the sunscreen and a picnic lunch, and enjoy a field trip! Online registration is now open for the 2012 InHome Conference! You are invited to participate in a truly unique experience that embraces the non-sectarian homeschooling community. The 15th InHome Conference is scheduled for March 15th to 17th, 2012, at the luxurious Pheasant Run Resort and Spa in St. Charles, Illinois. Whether you’ve been homeschooling for years or are just starting out, you do not want to miss this event! This year’s InHome Conference features new workshops, along with popular ones from the past, for all ages. Children will love the wide variety of interests that will be explored from theatre to nature to LEGOs (and much more). Teens will enjoy reconnecting with old friends and making new ones. Adults will appreciate the learning seminars, the sharing of information, and the support as they engage with other like-minded homeschooling parents. This year, Ac•Rock will bring a rockin’ opening to the conference. Performing everyone’s favorite classic rock hits, this a cappella quartet sings the doo-wop standards audiences expect and more recent rock hits you might not expect to be performed by an a cappella group. Their shows are an engaging mix of tightly-crafted music and freewheeling humor that appeals to audiences of all ages. And don’t miss out on all the other “extras”. From the opening night Meet & Greet to dancing the night away with both a family and teen dance to watching the kids strut their stuff in the talent shows, there is fun to be had by everyone. Don’t delay, log in and go to the registration link today to sign up for the best homeschooling conference in the Midwest! Remember to bookmark InHome Conference | Illinois Non-Sectarian Homeschooling Options for a Meaningful Education at www.homeeducatorsconference.org as a favorite so you may check in periodically for the latest news. Also, join our Yahoo Group and find us on Facebook. Don’t forget to make your hotel reservations at http://homeeducatorsconference.org/general-info/hotel-reservations. the hottest trend going in homeschooling. Some estimates show that 42,000 homeschoolers will earn dual credit during the 2011-2012 school year. Go here now to get your free copy of the eBook. The dual credit eBook is written by Kelly Negvesky, a homeschool mom and one of the nation’s foremost authorities on homeschool curriculum and dual credit. As a reader of The Home Educating Family Magazine, you can get a free copy of the eBook here.